Manufacturer HONDA OF AMERICA MFG., INC.
No pictures found for plate number 346HMH in Oklahoma, United States. click here to add a picture. No videos found for plate number 346HMH in Oklahoma, United States. click here to add a video. No owners found for plate number 346HMH in Oklahoma, United States. click here to add an owner. 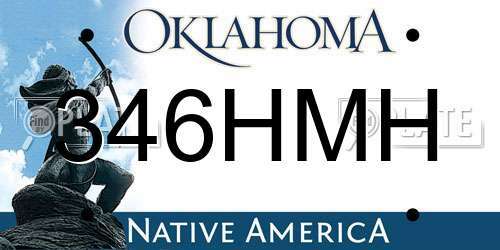 No related websites found for plate number 346HMH in Oklahoma, United States. click here to add a related website. THIS RECALL ONLY PERTAINS TO TRADESONIC AFTERMARKET LAMPS AND HAS NO RELATION TO ANY ORIGINAL EQUIPMENT INSTALLED ON THE LISTED PASSENGER VEHICLES.FOR MORE INFORMATION ON THE LAMP MODEL NUMBERS, CLICK ON DOCUMENT SEARCH AND VIEW DOCUMENT TITLED "LAMP MODEL NUMBERS. "CUSTOMERS MAY CONTACT THE NATIONAL HIGHWAY TRAFFIC SAFETY ADMINISTRATION'S VEHICLE SAFETY HOTLINE AT 1-888-327-4236 (TTY: 1-800-424-9153); OR GO TO HTTP://WWW.SAFERCAR.GOV. THIS RECALL ONLY PERTAINS TO AAI MOTORSPORTS AFTERMARKET LAMPS AND HAS NO RELATION TO ANY ORIGINAL EQUIPMENT INSTALLED ON THE LISTED PASSENGER VEHICLES.FOR MORE INFORMATION ON THE LAMP MODEL NUMBERS, CLICK ON DOCUMENT SEARCH AND VIEW DOCUMENT TITLED "LAMP MODEL NUMBERS. "CUSTOMERS MAY CONTACT THE NATIONAL HIGHWAY TRAFFIC SAFETY ADMINISTRATION'S VEHICLE SAFETY HOTLINE AT 1-888-327-4236 (TTY: 1-800-424-9153); OR GO TO HTTP://WWW.SAFERCAR.GOV. CERTAIN J & A AUTO ACCESSORIES COMBINATION HEADLAMPS SOLD AS REPLACEMENT LAMPS FOR USE ON THE ABOVE LISTED PASSENGER VEHICLES. SOME COMBINATION LAMPS THAT ARE NOT EQUIPPED WITH AMBER SIDE REFLECTORS FAIL TO CONFORM TO FEDERAL MOTOR VEHICLE SAFETY STANDARD NO. 108, LAMPS, REFLECTIVE DEVICES, AND ASSOCIATED EQUIPMENT. J & A AUTO ACCESSORIES WILL NOTIFY OWNERS AND OFFER TO REPURCHASE THE HEADLAMPS. THE RECALL BEGAN ON JULY 10, 2006. OWNERS MAY CONTACT J & A AUTO ACCESSORIES AT 310-327-4981. THIS RECALL ONLY PERTAINS TO J & A AUTO ACCESSORIES AFTERMARKET HEADLAMP ASSEMBLIES AND HAS NO RELATION TO ANY ORIGINAL EQUIPMENT INSTALLED ON THE LISTED PASSENGER VEHICLES.FOR MORE INFORMATION ON THE LAMP MODEL NUMBERS, CLICK ON DOCUMENT SEARCH AND VIEW DOCUMENT TITLED "LAMP MODEL NUMBERS. "CUSTOMERS MAY CONTACT THE NATIONAL HIGHWAY TRAFFIC SAFETY ADMINISTRATION'S VEHICLE SAFETY HOTLINE AT 1-888-327-4236 (TTY: 1-800-424-9153); OR GO TO HTTP://WWW.SAFERCAR.GOV. CERTAIN E SPEED RACING COMBINATION LAMPS SOLD AS REPLACEMENT EQUIPMENT FOR USE ON CERTAIN PASSENGER VEHICLES LISTED ABOVE. SOME COMBINATION LAMPS THAT ARE NOT EQUIPPED WITH AMBER SIDE REFLECTORS FAIL TO CONFORM TO FEDERAL MOTOR VEHICLE SAFETY STANDARD NO. 108, LAMPS, REFLECTIVE DEVICES, AND ASSOCIATED EQUIPMENT. E SPEED RACING WILL NOTIFY OWNERS AND OFFER TO REPURCHASE THE LAMPS. THE RECALL BEGAN MAY 10, 2006. OWNERS MAY CONTACT E SPEED RACING 909-923-3636. THIS RECALL ONLY PERTAINS TO E SPEED RACING AFTERMARKET COMBINATION LAMPS AND HAS NO RELATION TO ANY ORIGINAL EQUIPMENT INSTALLED ON THE LISTED PASSENGER VEHICLES.FOR MORE INFORMATION ON THE LAMP MODEL NUMBERS, CLICK ON DOCUMENT SEARCH AND VIEW DOCUMENT TITLED "LAMP MODEL NUMBERS. "CUSTOMERS MAY CONTACT THE NATIONAL HIGHWAY TRAFFIC SAFETY ADMINISTRATION'S VEHICLE SAFETY HOTLINE AT 1-888-327-4236 (TTY: 1-800-424-9153); OR GO TO HTTP://WWW.SAFERCAR.GOV. ALFAOTTO WILL NOTIFY OWNERS AND REPLACE THE HEADLAMPS FREE OF CHARGE. THE RECALL BEGAN ON MAY 10, 2006. OWNERS MAY CONTACT ALFAOTTO AT 626-656-2992 OR VISIT THEIR WEBSITE AT WWW.ALFAOTTO.COM. TOM MOTORSPORT WILL NOTIFY OWNERS AND OFFER REIMBURSEMENT FOR THE PURCHASE OF NONCOMPLIANT LIGHTS. THE RECALL BEGAN APRIL 17, 2006. OWNERS MAY CONTACT TOM MOTORSPORT AT 626-968-4007. THIS RECALL ONLY PERTAINS TO AFTERMARKET LIGHTS AND HAS NO RELATION TO ANY ORIGINAL EQUIPMENT INSTALLED ON ANY VEHICLES MANUFACTURED BY AMERICAN HONDA MOTOR COMPANY.CUSTOMERS MAY CONTACT THE NATIONAL HIGHWAY TRAFFIC SAFETY ADMINISTRATION'S VEHICLE SAFETY HOTLINE AT 1-888-327-4236 (TTY: 1-800-424-9153); OR GO TO HTTP://WWW.SAFERCAR.GOV. POLI-AUTO WILL NOTIFY OWNERS AND OFFER TO REPURCHASE THE HEADLAMPS AT ITS ORIGINAL PURCHASE PRICE. THE RECALL IS EXPECTED TO BEGIN DURING APRIL 2006. OWNERS MAY CONTACT POLI-AUTO AT 305-477-1356. THIS RECALL ONLY PERTAINS TO AFTERMARKET HEADLAMP ASSEMBLIES MANUFACTURED BY ANZO AND HAS NO RELATION TO ANY ORIGINAL EQUIPMENT INSTALLED ON THE LISTED PASSENGER VEHICLES.CUSTOMERS MAY CONTACT THE NATIONAL HIGHWAY TRAFFIC SAFETY ADMINISTRATION'S VEHICLE SAFETY HOTLINE AT 1-888-327-4236 (TTY: 1-800-424-9153); OR GO TO HTTP://WWW.SAFERCAR.GOV. DEALERS WILL PERFORM AN INSPECTION PROCEDURE THAT CONFIRMS INTERLOCK FUNCTION. VEHICLES WILL BE UPDATED WITH A REDESIGNED INTERLOCK LEVER FREE OF CHARGE. THE RECALL BEGAN ON MARCH 7, 2005. OWNERS MAY CONTACT HONDA AT 1-800-999-1009 OR ACURA AT 1-800-382-2238. 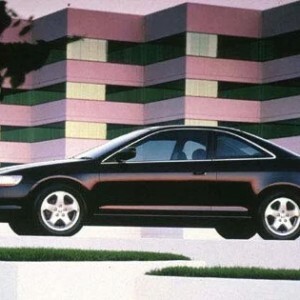 HONDA RECALL NOS.P68, P69.CUSTOMERS MAY ALSO CONTACT THE NATIONAL HIGHWAY TRAFFIC SAFETY ADMINISTRATION'S VEHICLE SAFETY HOTLINE AT 1-888-327-4236 (TTY 1-800-424-9153), OR GO TO HTTP://WWW.SAFERCAR.GOV. ON CERTAIN PASSENGER VEHICLES AND MINI VANS, THE IGNITION SWITCH MAY WEAR EXCESSIVELY AND PREVENT PROPER INTERLOCK OPERATION, MAKING IT POSSIBLE TO TURN THE IGNITION KEY TO THE "OFF" POSITION AND REMOVE THE KEY WITHOUT SHIFTING THE TRANSMISSION TO "PARK." DEALERS WILL PERFORM AN INSPECTION PROCEDURE THAT DETERMINES THE AMOUNT OF CYLINDER BODY WEAR. IF SIGNIFICANT WEAR IS INDICATED, THE DEALER WILL REPLACE THE CYLINDER BODY, COLLAR, AND LATCH PLATE. IF NO SIGNS OF WEAR ARE INDICATED, DEALERS WILL REPLACE THE LATCH PLATE WITH A REDESIGNED PART. OWNER NOTIFICATION BEGAN DECEMBER 8, 2003. OWNERS SHOULD CONTACT HONDA AT 1-800-999-1009 OR ACURA AT 1-800-382-2238. HONDA RECALL NO. 03-088/ACURA RECALL NO. 03-034.CUSTOMERS CAN ALSO CONTACT THE NATIONAL HIGHWAY TRAFFIC SAFETY ADMINISTRATION'S AUTO SAFETY HOTLINE AT 1-888-DASH-2-DOT (1-888-327-4236). ON CERTAIN SEDANS, COUPES, HATCHBACKS, AND SPORT UTILITY VEHICLES, ELECTRICAL CONTACTS IN THE IGNITION SWITCH CAN DEGRADE DUE TO THE HIGH ELECTRICAL CURRENT PASSING THROUGH THE SWITCH WHEN THE VEHICLE IS STARTED. WORN CONTACTS COULD CAUSE THE ENGINE TO STALL WITHOUT WARNING, INCREASING THE RISK OF A CRASH. DEALERS WILL REPLACE THE IGNITION SWITCH. OWNER NOTIFICATION BEGAN JUNE 14, 2002. OWNERS WHO TAKE THEIR VEHICLES TO AN AUTHORIZED DEALER ON AN AGREED UPON SERVICE DATE AND DO NOT RECEIVE THE FREE REMEDY WITHIN A REASONABLE TIME SHOULD CONTACT HONDA AT 1-800-999-1009 OR ACURA AT 1-800-382-2238.